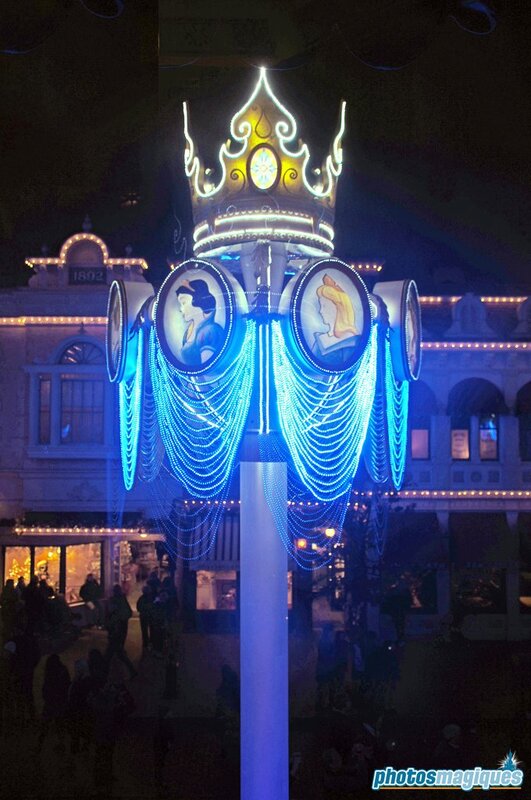 In this fifth blog post in the 12 Days of Christmas series, we’ll remember the Princess Chandeliers that stood on Main Street, U.S.A. for several years. 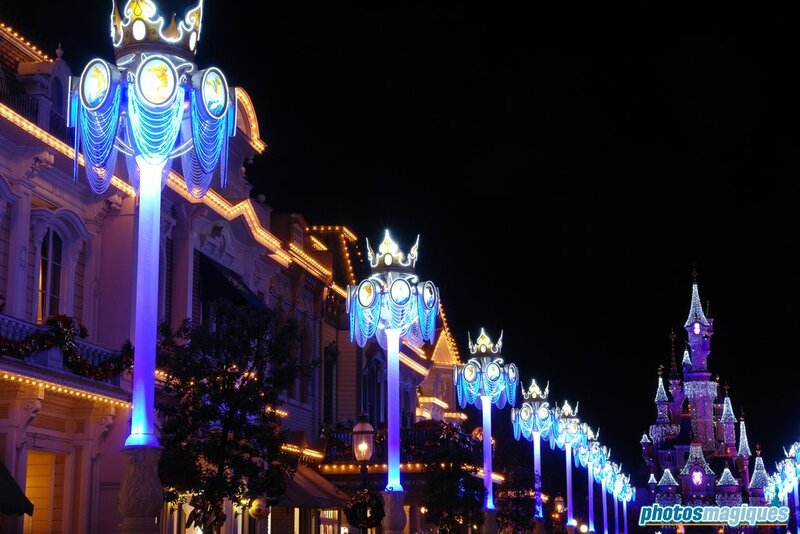 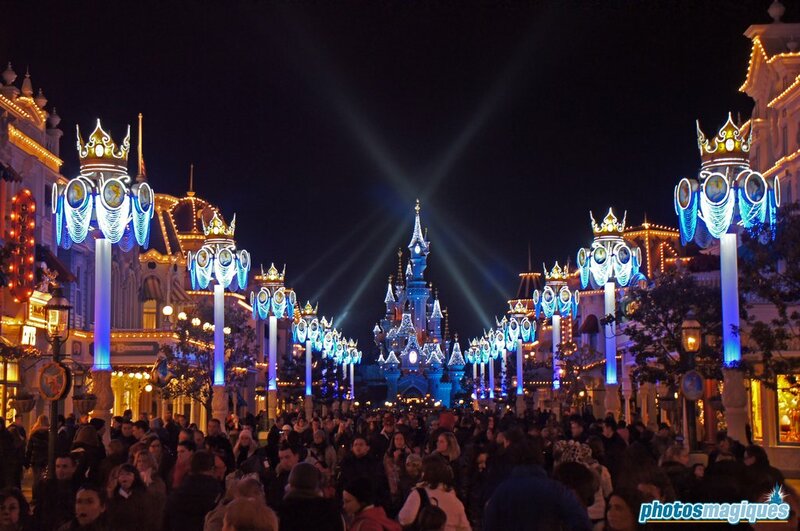 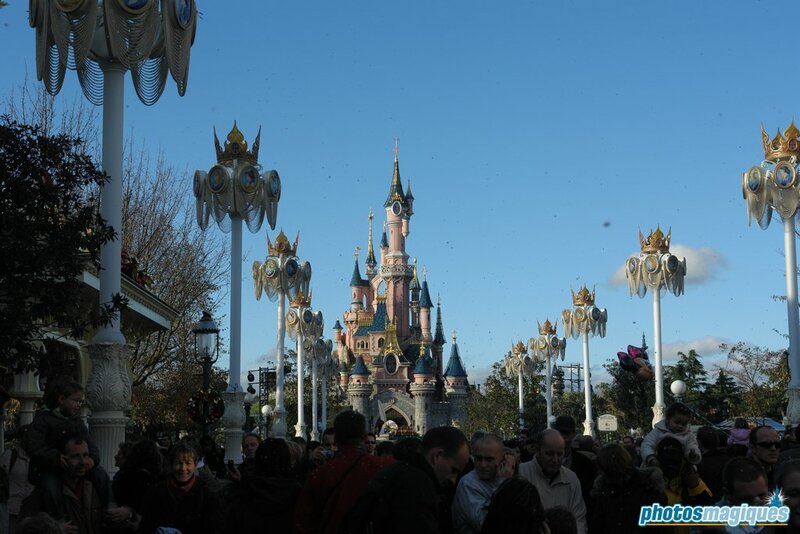 In 2005 the chandeliers replaced the Lights of Winter arches that stood on Main Street since 1993. 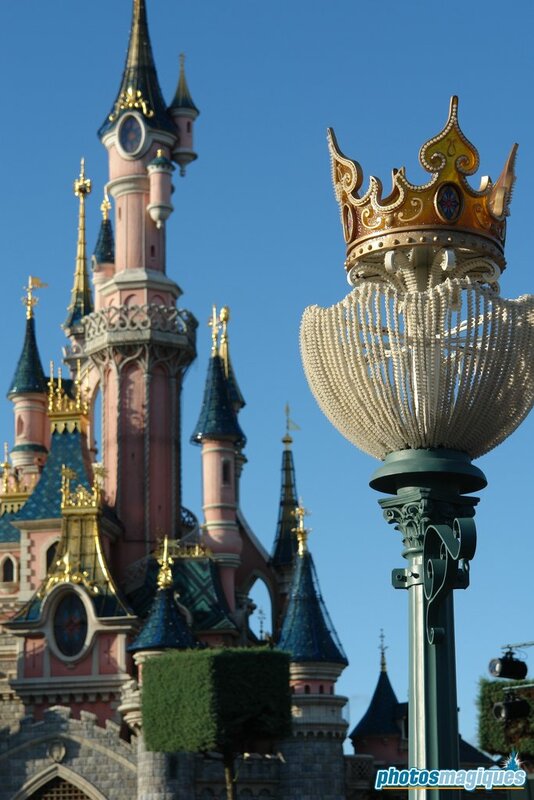 They arrived one year after the ice LED lights were introduced on Le Château de la Belle au Bois Dormant. 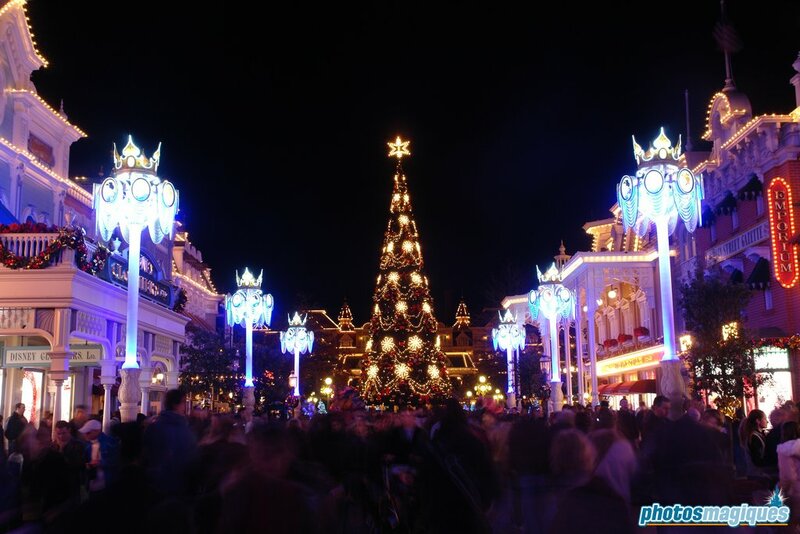 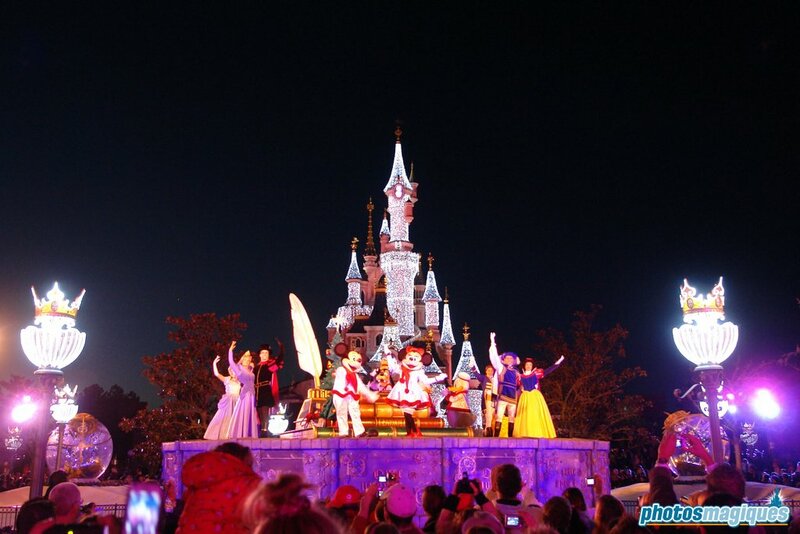 They played a big part in the Tree Lightning Ceremony, most notably during the “Ring the bells” song during which they were animated. 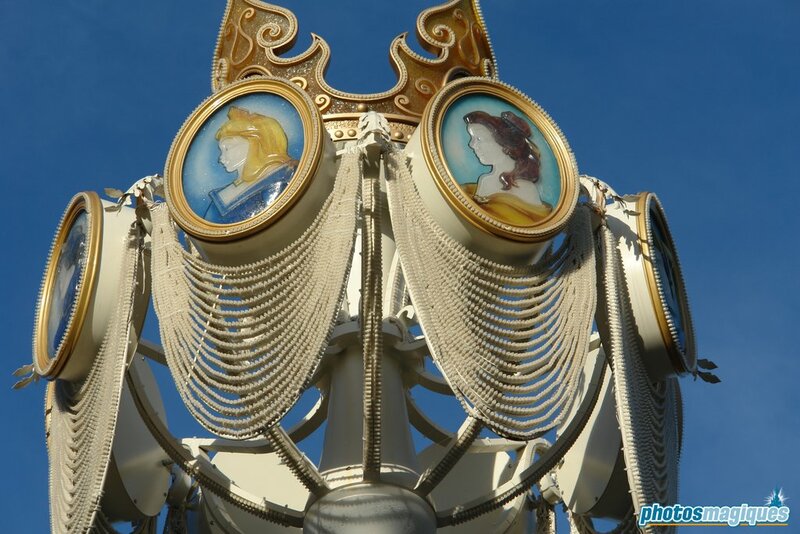 The chandeliers were once again replaced in 2012 by a more classic alternative: the garlands of Main Street, U.S.A.